I love Swedish meatballs – whether they are on a tray at Ikea, baked in my own oven, or handmade by an older Norwegian woman at a restaurant in northern MN. I love them, no matter who makes them. In a large mixing bowl, combine the ground beef, ground pork, eggs, Panko breadcrumbs, minced onion, ground allspice and ground nutmeg and salt and pepper. Using an ice cream scoop, form meatballs and place them in a single layer into a baking dish. 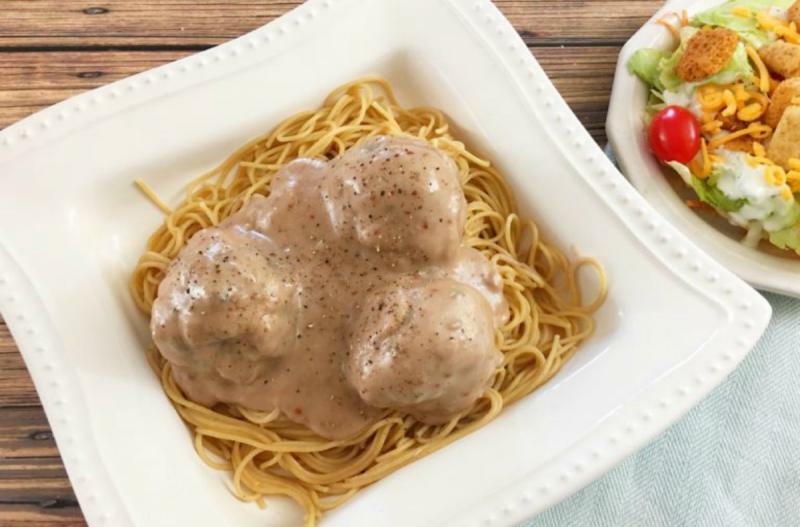 While the meatballs are baking, make the cream sauce. Melt the butter in a large skillet, then stir in the flour to make a thick paste. Quickly stir in the beef broth and whisk vigorously to keep flour from clumping. Once the beef sauce begins to thicken, stir in the sour cream and red raspberry preserves. Pour the sauce over the meatballs once they finish baking. Serve Baked Swedish Meatballs over pasta with salad. In a large mixing bowl, combine 2 lbs. ground beef, 2 lbs. ground pork, 4 eggs, 1 cup Panko breadcrumbs, 2 Tbsp minced onion, 1 tsp ground allspice and 1 tsp ground nutmeg. Season with salt and pepper, to taste. Using an ice cream scoop, form meatballs and place them in a single layer into the disposable baking dish. Note: Do NOT add the sauce ingredients to the tray. Put covered pan in the freezer and freeze up to 6 months in fridge freezer or 12 months in a deep freezer. Thaw in the fridge overnight, or in a shallow tray/pan of warm water for about 20 minutes, before transferring to the oven and baking as directed. 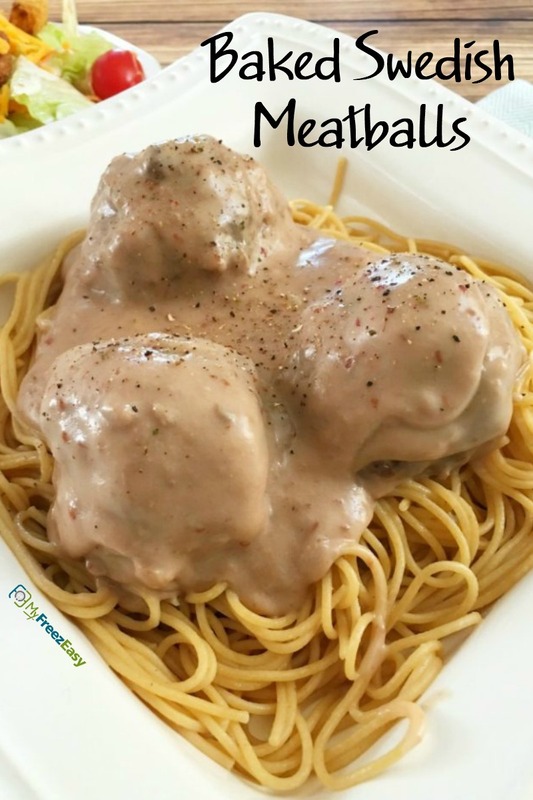 Make cream sauce while meatballs are baking and pour over cooked meatballs. Recipe is gluten-free when made with gluten-free breadcrumbs, gluten-free flour and gluten-free pasta. Thaw and bake at 375 F for 30 minutes. Make cream sauce will the meatballs are baking.